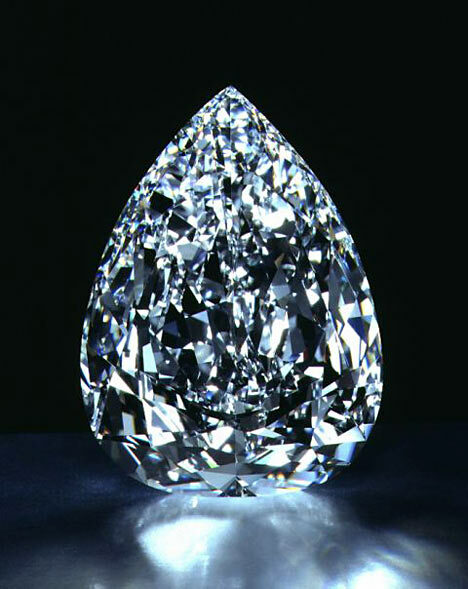 This is supposed to be the world largest diamond. It would fit comfortable in the palm of an adult’s hand. I don’t recall how many facets it has, but it has a bunch of them. Yet they are all different side of the one diamond. They are all important. The gospel is very much the same way. It has many facets, all of which are important. The funny thing is that many preacher/teachers, ministries, parachurch organizations, tent to put a lot of effort into one facet in particular. On the one hand this is to be expected because the Lord has made us all different, so it kind of makes sense. On the other hand, it can be an unhealthy thing. Other facets can be neglected at the expense of the one. If you have been reading this blog you know I have been reading Why Revival Tarries by Ravenhill. Someone pointed me to another website where you can download videos and audios of his stuff. I was surprised that there were videos because he died before video taping stuff became a consumer thing. At any rate, it struck me that in his speaking and writing he seems to really focus on motivating people to pray. What’s wrong with that? Nothing in and of itself, but the way he does it really borders on condemnation if you don’t do it the way he is describing. he doesn’t cross that line, but if the only thing you read was his stuff, you might not be a very joyful person. Don’t get me wrong, I’m still really digging this book. It’s a short book but it’s so potent that I can really only take one or two chapters at a time. And they are short chapters. In fact I’m going to have to re-read it because it is so dense. If I can modify my behaviors I think I will get something out of this book. If I just read it and feel this man’s passion and agree with him, but don’t do anything about it, then it’s kind of pointless. I have not tried to listen to more of Ravenhill’s stuff yet. I hope he was just as passionate about other facets of the gospel. Grace is important. Joy is important. Compassion is important. The Holy Spirit is important. And yet, I can see his point. If Christians, if preachers, if the church isn’t a praying thing, then none of that other stuff will be effective. Perhaps that prayerful connection as evidenced by the power of the Spirit is the carbon that the diamond is made of and the facets are ways of reflecting all of that? Possible. All I know is that I don’t have it going on like he did or like he is preaching about. If that circuit can be closed and the juice allowed to flow, perhaps I will finally arrive.